Ethylene (C2H4) is the root petrochemical. 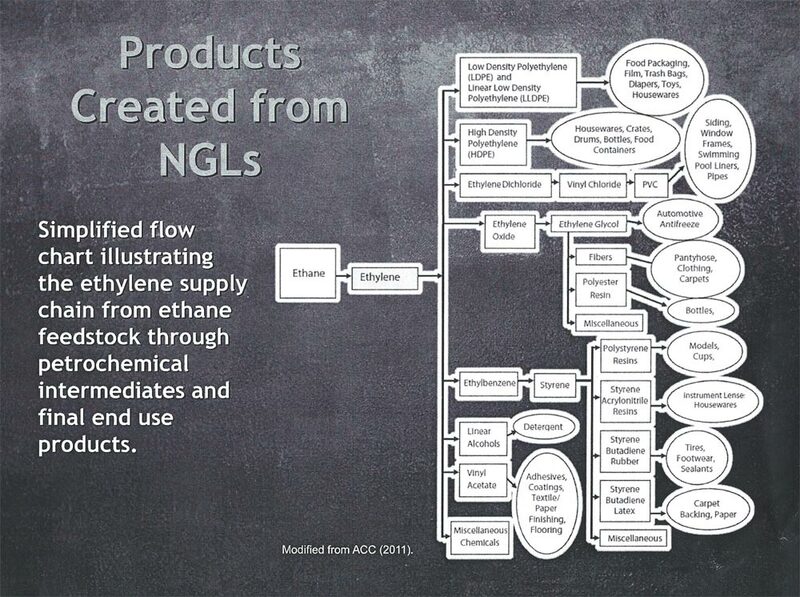 As the illustration below shows, ethylene is the precursor to dozens of important everyday chemicals. It is used to make everything from adhesives to food packaging to pipes. Because plastic bags derived from ethylene are cheap and omnipresent but not biodegradable, research is even underway to turn plastic bags into combustible fuel, such as diesel. 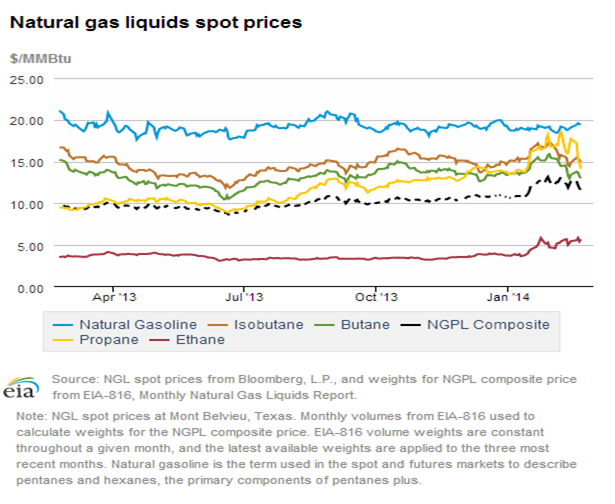 In the US 85% of ethylene is produced from natural gas liquids (NGLs), mostly ethane. Ethane, C2H6, is co-produced with natural gas, CH4, and to some extent with oil. The supply of natural gas and ethane have increased so significantly they have redirected petrochemical investment from overseas to the US for the first time in three decades. The American Chemistry Council (ACC) recently confirmed that announced US chemicals expansion and new plant construction totals more than $100 billion for 148 projects. ACC estimates that by 2023 this could lead to over $80 billion per year in new chemical industry output and 637,000 permanent new jobs. 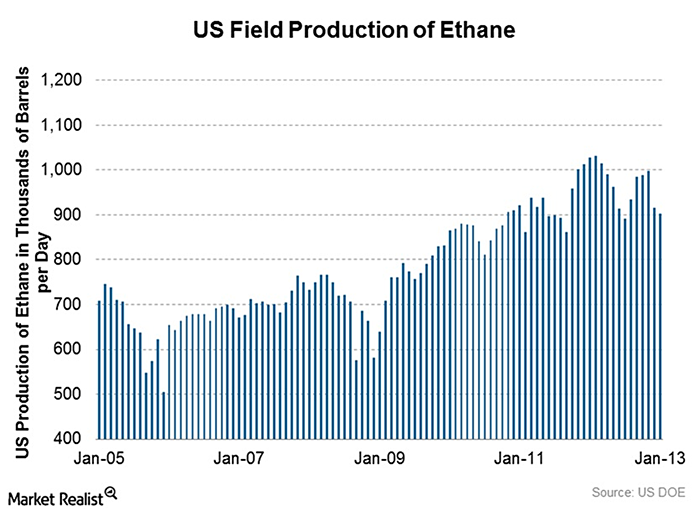 It has been twelve years since a new ethane cracker was built in the US. Of the $100 billion, $30 billion is for new ethylene plants alone, according to Chevron Phillips Chemical Company. Of course, a cycle of overcapacity is endemic to petrochemicals so it is likely not all announced new plants will be built. Total world nameplate ethylene capacity is 143.4 million tons per year. Of that, 28.1 million tons per year is produced in the US from 38 complexes. Texas and Louisiana can claim 35 of the 38. 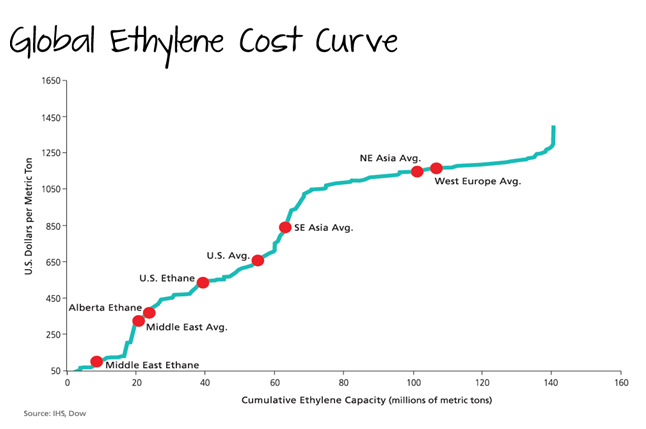 The largest US ethylene complexes make between 1.8 and 2.2 million tons per year. Demand for ethylene is over 140 million tons per year with a growth rate estimated by Technip at 3.5% per year. Ethane is not captive to the ethane market: a) it can be retained in natural gas (methane) to increase the heat content, (known as ethane "rejection," meaning rejection from NGL processing) or b) it can be exported along with other natural gas liquids. About 250,000 barrels per day of ethane is being rejected and kept with methane to increase its volume and heat value. Rusty Braziel calculates that figure could triple to 750,000 barrels per day. Chemical company Dow believes the US is long ethane for years and sees ethane exports as immaterial due to limited logistics and global furnace capacity. 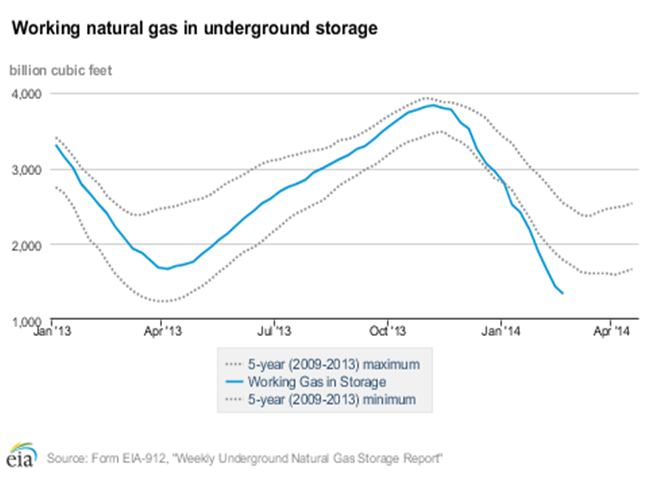 Ethane's use in natural gas has increased this winter with colder-than-expected weather and thus increased heating demand. Its price has risen from about $4/MMBTU to just above $5.00/MMBTU. The shortage has been much more pronounced for propane--C3H8--because propane is used more directly for heating and also was heavily demanded this year for crop drying. 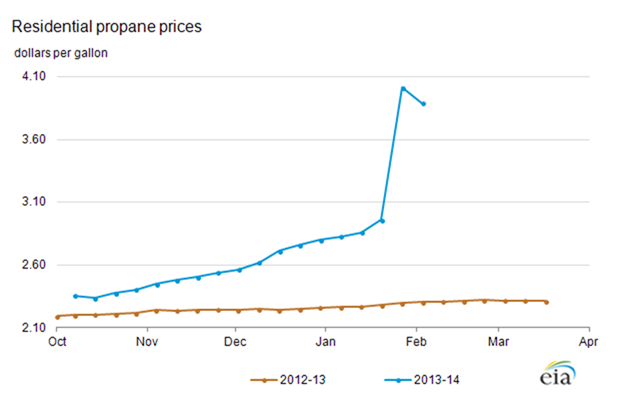 These prices are expected to continue to moderate as the weather warms. 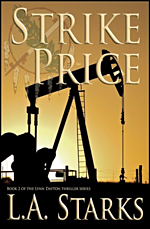 *If you liked the fictional energy thriller, 13 DAYS: THE PYTHAGORAS CONSPIRACY, you may like the just-published second in the series, STRIKE PRICE. Available from bookstores and online.